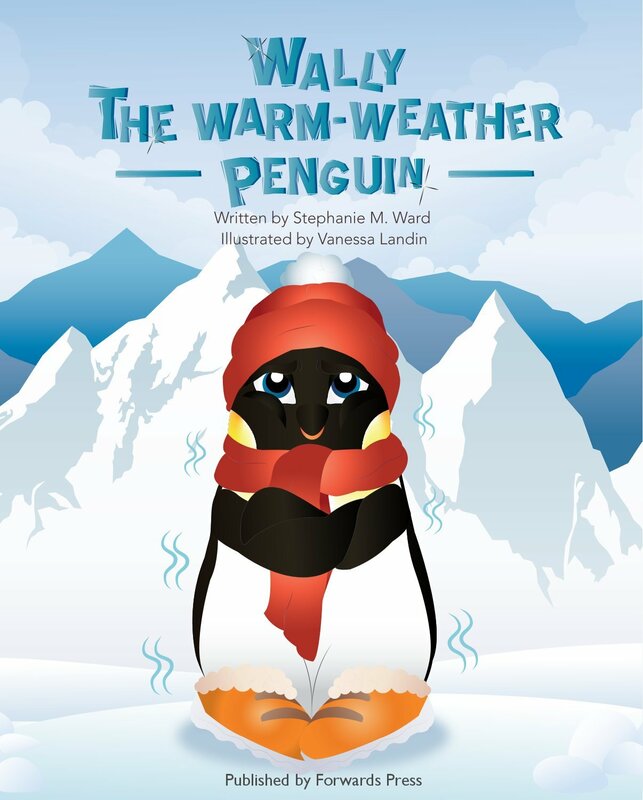 Stephanie M. Ward is the author of the children’s book, Wally the Warm-Weather Penguin. Stephanie has been writing in various forms over the last 20 years. Most notably she spent over 15 years in PR and Marketing at Amazon and Fujitsu writing everything from press releases to white papers, executive bios to product blurbs. Stephanie’s wanderlust finally got the best of her and she spent a year traveling across all seven continents. It was then that she decided to focus on writing stories for children about amazing places around the world. Stephanie currently lives in Sydney, Australia with her husband and young son. I grew up in Spokane, Washington on the west coast of the U.S. but left for college in California and have been living in various places around the world ever since. As a child I loved to read and write and in school I excelled in English classes. Not surprisingly, my professional work involved a lot of writing. Then in a break between marketing jobs, I started writing for an online travel magazine and contributed to the book Tana’s Habitat: The Ultimate Guide to Finding and Affording Your First Places. I started writing children’s stories on a year-long honeymoon traveling around the world and that’s when I decided that some day I wanted to be a writer. “Some day” came two years ago when I left the corporate world to focus on publishing Wally the Warm-Weather Penguin. Wally the Warm-Weather Penguin is the story of Wally, an Emperor Penguin from Antarctica, who is always cold and dreams of life on a tropical island. When Wally learns about the Galapagos Islands, he sets sail immediately and discovers an amazing world of tap-dancing crabs, racing hundred-year-old tortoises and diving birds with bright blue feet. Visiting Antarctica and being amidst Emperor Penguins in the icy conditions made me wonder why they didn’t just pack up and go somewhere warmer. A couple of months later, I was in the Galapagos Island and saw a colony of Galapagos Penguins and there was the story: What if an Emperor Penguin learned that he could live on a warm, tropical island? The Galapagos Islands is an amazing place with so many unique plants and animals. In publishing Wally the Warm-Weather Penguin, I wanted to give back to the place that inspired the story. To that end, a portion of the proceeds from the sale of Wally the Warm-Weather Penguin is donated to the Galapagos Conservancy (galapagos.org) to support conservation efforts in the Galapagos Islands. We took a fairly unique approach to publishing Wally the Warm-Weather Penguin and issued an ebook edition first. The full-color illustrations are arranged in a fixed format and optimized to be read on a tablet or computer, so each spread is perfectly laid out on any device. Once we learned how to create this layout, it was smooth sailing. Wally the Warm-Weather Penguin is available on Amazon websites worldwide. Yes. I created a “teaser trailer” before Wally the Warm-Weather Penguin was published. It’s available on YouTube: https://www.youtube.com/watch?v=apbBIngs4Wk. Write your story. If your story can’t be defined in a specific genre or written in the traditional format, there are many options for authors to get a book into readers hands. I have met some talented indie authors whose wonderful children’s books are longer than the 1000 word maximum that an agent will accept for review. And I recently read a fantastic novella that is the perfect length, but in traditional publishing may have been expanded or reduced to a short story or looked over completely due to the number of pages. It’s a whole new world in publishing today, so don’t worry that your idea doesn’t “fit”, just write your story! Currently, I’m working on a picture book version of Wally the Warm-Weather Penguin for older children. I hope to have this edition out by the end of 2014. Beyond that, there are so many interesting (and warm) places that Wally wants to visit! I’ll be writing Wally’s next adventure in the coming months.